The Abbeymill Homes development in Well Lane, Curbridge, offers a tranquil retreat in rural Oxfordshire and is perfectly situated close to the historic and bustling town of Witney. “Well Lane” is a beautiful collection of just fourteen properties that perfectly blend traditional British heritage with a contemporary, yet classic design. Nestled into the village of Curbridge, seemingly endless scenic walks and beautiful countryside await the residents of this charming village. Outstanding quality and design resonate throughout every property. The kitchens are designed by Springhill, a specialist in contemporary, top quality kitchens that perfectly complement developments just like this. They come with a range of integrated appliances including a four ring induction hob, electric oven, extractor, fridge, freezer and a dishwasher. 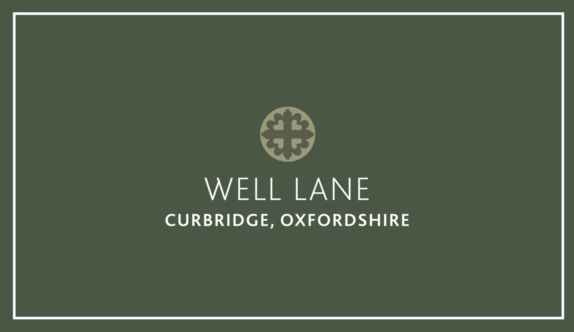 If you’re looking for a quality home in a peaceful country setting, that’s nearby to tranquil market towns, villages and the vibrant city of Oxford, Well Lane in Curbridge truly offers everything for your next home. View the exquisitely presented Well Lane brochure. Includes, site map, location guide, floor plans and specification list. Viewings strictly by appointment only. Get in touch with our Witney Team for further details. Our 2019 New Homes collection offers a wide range of individual homes from leading developers with incentives such as 'Help to Buy’, Part Exchange and Assisted Move.